How do I benchmark a tenant space? How do I get ENERGY STAR Tenant Space recognition? What are the requirements for SPP Partnership? How can I become an ENERGY STAR Partner? What enhancements will be implemented in 2019? Is there a master list of enhancements EPA is considering? What enhancements were implemented in 2017? What enhancements were implemented in 2016? What enhancements were implemented in 2015? Can I host my own ENERGY STAR National Building Competition? What is ENERGY STAR for Tenants? Where Can I Find the ENERGY STAR logo? When is the 2019 ENERGY STAR Awards Ceremony? What happened to ENERGY STAR's Leaders program? Are there any financial incentives for making energy improvements? Do you have any resources for tenants? Do you have any tips for engaging employees and tenants? Do you have any tips to save energy? How can I track my energy improvements? How do I improve my properties with low scores? Can I get certification for my Canadian properties? I have a question about the Canadian Portfolio Manager. Where Can I Find Additional Information on Ontario's Large Building Benchmarking Initiative? Which property types can get a score in Canada? Why are the source factors for Canada different than those for the US? Can I change my property's country location? Can properties outside of the US use Portfolio Manager? How do I assign a weather station for a property that is not located in the United States or Canada? Are properties located outside the U.S. eligible for ENERGY STAR certification or a score? Do you have feedback or suggestions for Portfolio Manager to improve? Do you release any of my Portfolio Manager data publicly? Does it matter if the property has a chiller or a rooftop HVAC system? Has EPA done any analysis of the data in Portfolio Manager? 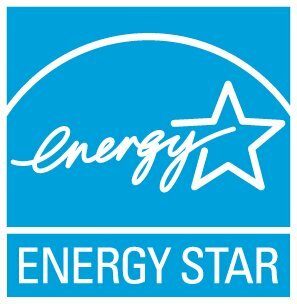 How can I sign up to receive ENERGY STAR updates? How do I read the Green Button file I downloaded from Portfolio Manager? How does Portfolio Manager interact with Green Button data? What's the difference between Green Button's "Connect" and Portfolio Manager's web services?